We’ve gotten our first look at the guts of the latest Apple hardware thanks to an iPad Mini 4 teardown that’s appeared online, and the new tablet from the Cupertino company is looking really familiar. But we don’t mean that in a bad way.Repair-advise site iFixit has sacrificed one of the devices in the name of science and education, and its findings reveal that at its heart, the iPad Mini 4 is a smaller version of the upper-tier iPad Air 2. Here’s what the carnage revealed. 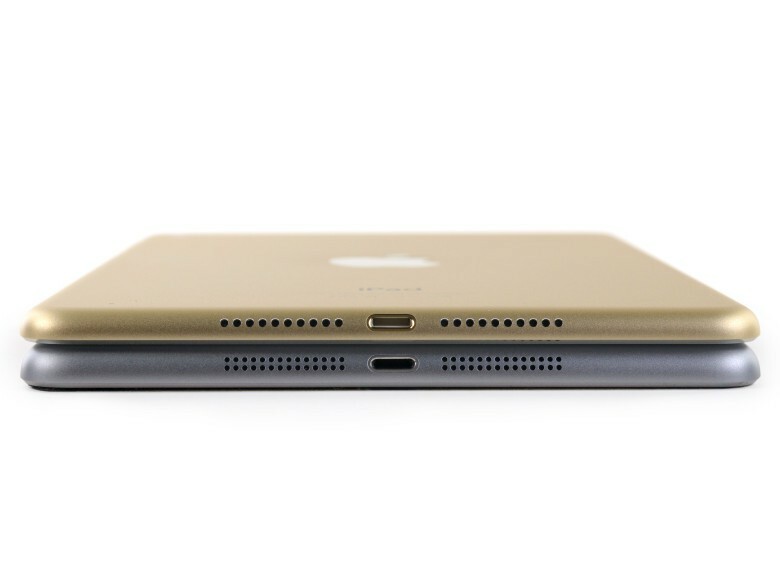 iFixit’s iPad Mini 4 teardown gives a revealing look at the new (little) hardware. Meet the new-new speakers, same as the old-new speakers. iFixit discovered that the dual rows of speaker holes in the Mini 3 are gone, and an Air 2-esque single row of larger outputs replaces them in the Mini 4. This is likely to make up for the newer model’s 18 percent reduction in thickness over the older one, and it just looks cleaner, anyway. 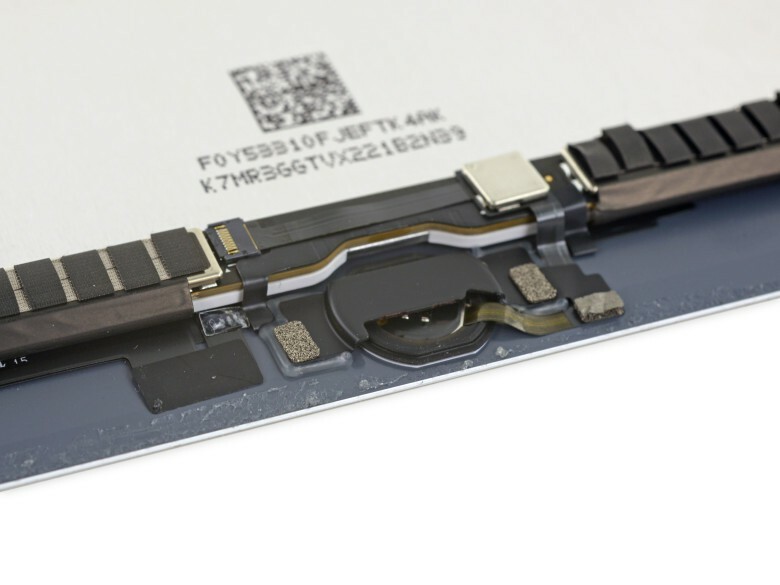 The iPad Mini 4 teardown discovered that this new hardware shares the screen construction of the larger Air 2. It’s fully laminated, which means that the screen itself is fully attached to the surrounding glass. This makes it (slightly) less reflective and thinner, but as iFixit says, “it’s also more expensive to fix when you drop it.” That’s because you can’t just replace the glass; the display has to come out, too. 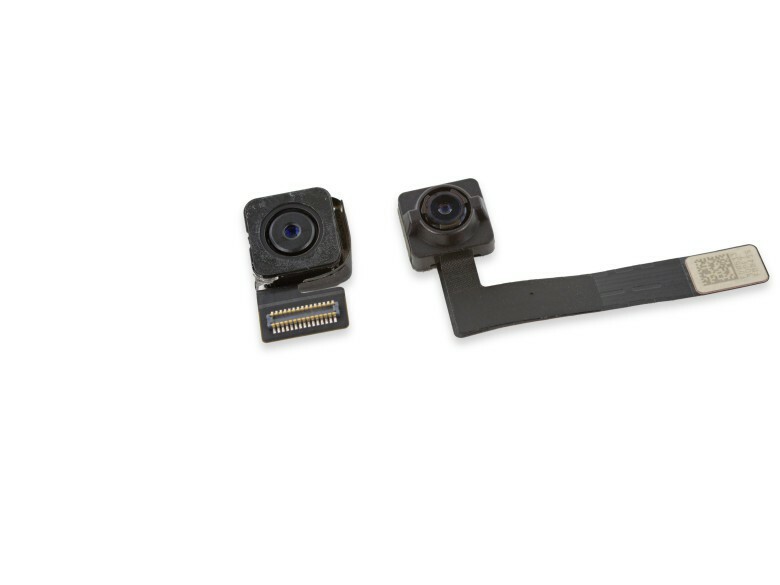 This is what a Touch ID sensor looks like naked. We’re not sure what this means for functionality, but it’s another thing that the Air 2 has and the Mini 3 doesn’t. Putting these two cables together is likely a space-saving measure, however. The Air 2 sports a double-cell battery, and so does the Mini 3, but the Mini 4 stands alone with its single-cell, 19.1 watt-hour, lithium-polymer battery. The Mini 3’s battery has a 24.3 watt-hour capacity, and the Air 2’s boasts 27.2. But Apple claims that the new tablet will have the same 10-hour battery life as its predecessors. iFixit’s teardown mentions that the Mini 4’s antennae are all over the place. Their placements are split evenly between the top (like an Air) and the bottom (like a Mini). “This is probably a space-saving measure, but maybe this Mini is secretly a flounder,” iFixit says. They don’t look like much once they’re out of the iPad. The Mini 4 has a better rear camera (8 megapixel) than its predecessor’s 5 MP model, but it has exactly the same number of megapixels available as the Air 2. They all have the 1.2-megapixel front-facing camera, however, and that’s probably all the resolution you’ll need to do Facetime. Oh, what’s that, iPhone 6s? You have a 5 MP front camera? Well, that’s cool, I guess. The super-technical stuff also lines up. • Universal Scientific Industrial 339S00045 Wi-Fi module. And that’s a hell of a lot of numbers and tech-speak, but here’s what it means: The innards of the iPad Mini 4 are effectively the same as the ones inside the Air 2. Long story short, if you’re looking to save $100, and you don’t mind a smaller screen, you’re going to get just as much power out of the Mini 4 as the Air 2. And you won’t even be missing out on the cool new features in iOS 9 like Multitasking, Picture in Picture, and Split View; Apple says it can handle those just fine.